Protect data, information and privacy from different virus, spyware, worm, Trojan and theft attempts with AVG Free antivirus; stay safe, make secure transactions and keep your PC healthy. 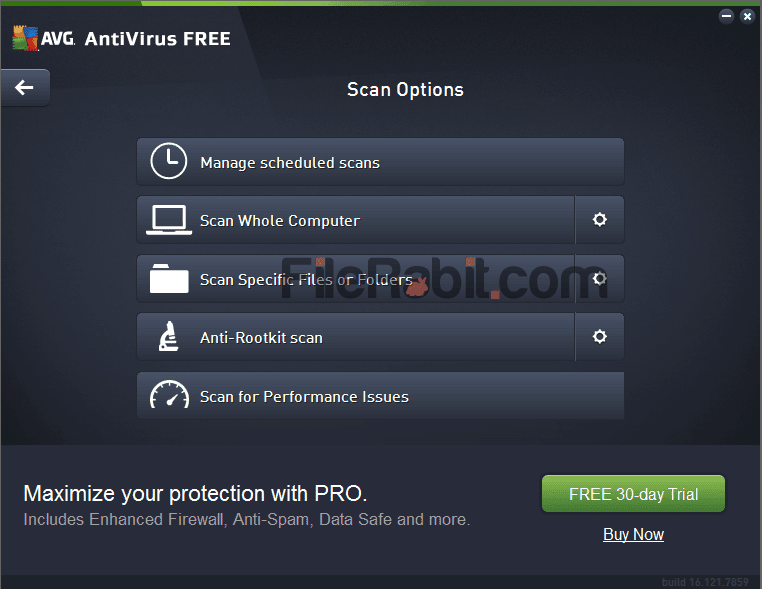 An updated antivirus software that can scan target files or folders with drag and drop feature. It will protect everything inside computer, web, email and privacy identity protection as well. AVG is essential software package that can defend a PC, Mobile or MAC device against viruses, spyware, worms, rootkits, Trojans, hacking / seeking attempts, autorun files and other malicious attacks. Thousands of accounts has been hacked on daily basis and also user’s will face loss of million dollars. Unless AVG Free Antivirus has minimum list of features comparing to AVG Internet Security. AVG TuneUp is one of top listed system tuning software also designed by AVG Tech. Many users were asking about hardware consumption of antivirus software, AVG has fast loading and updated scanning engine that makes it faster then ever before. Gaming mode lets you play online games via LAN or web content, it will block suspicious activities immediately. Firewall protection is only available for purchased members but you can also have a 30 days free trial. Moreover, the installation will take a while to finalized extraction but during the setup, you will be amazed with its wonderful designed graphic animations. The automatic notification system will keep you updated with whats going inside your system. 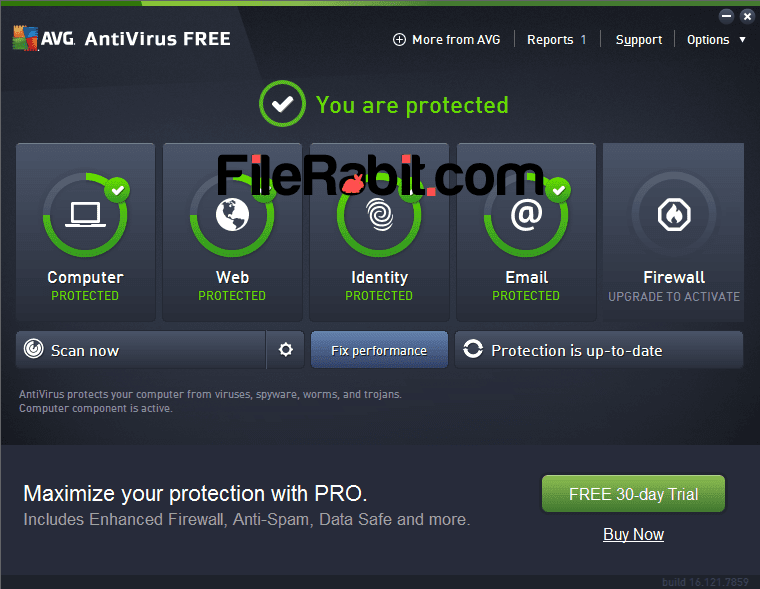 Furthermore, the main screen of AVG antivirus free edition contains 5 circled tools where some of them filled with green border. Schedule scans as users desires, advance scanning lets to quick, full and custom scans. AVG Free Edition will block autorun attacks coming from USB, SD cards, disc drives or other removable media.